The posts I write are meant to help you play better. Whatever I put up here is something I tried myself and find that it works. I’m not going to tell you something I heard somewhere that sounds like it makes sense. I test it first. But it’s all about you. Today, though is different. Today is all about me, though maybe even then you might find something in it that helps you as well. 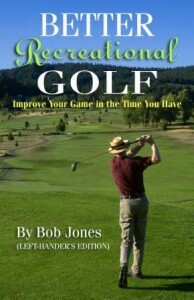 Because of some back surgeries I underwent several years ago, I had to change the way I swing the golf club. I swing it much easier now. I haven’t measured my clubhead speed, though I know it’s slower because I have lost about twenty yards off the tee and one club from the fairway. Distance, though, is only one part of playing golf. I have become much more accurate, because I have to be accurate. I have designed a swing, therefore, that hits the ball very straight, time after time. That’s certainly not a bad thing. Through impact, my club hits the ground at the same spot, at the same depth, with a square clubface, consistently. The way I accomplish this is to lose all thought of hitting the ball powerfully, and instead, think of swinging the club gracefully. To strike the ball accurately, so many things have to be lined up just right, and when this has to be done at speed it’s all more difficult. I swing as fast as I can while still keeping everything in order. If I tried to swing faster, I would only disrupt the impact alignments and start hitting the ball anywhere but where I wanted it to go. In addition, I doubt I would hit the ball that much farther to make the effort worthwhile. I find my longest shots happen when I take care of swinging the club and let the club take care of the hitting. After all, the hit is built into your clubs. That’s why you paid so much for them. You just swing it and let the manufacturer take care of the rest. The recreational golfer, who doesn’t have world-class talent, doesn’t have access to world-class coaching, nor hours a day to spend practicing, needs to play golf differently than the players who do. We need a swing that keeps the ball in play, first and last. In my personal experience, and in what I see in the people I play with, the pursuit of distance, trying to hit each ball as far as possible rather than as straight as possible, is the number one reason why so many golfers play worse than they are capable of. I know it’s fun to really tag one, but if your overall game is designed around doing that, you’re costing yourself handfuls of strokes for the occasional satisfaction. On the other hand, if you can build a swing that accomplishes the three things I mentioned earlier, you will hit the ball straighter, and you won’t lose distance, because you will be making a more solid impact. I lost distance because of a physical condition, but that’s not you. 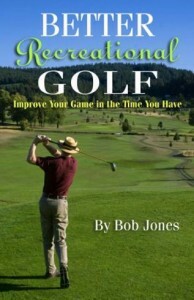 Recreational golf is wrapped up in hitting the ball straight. Spend some time at the driving range just watching people and ask yourself, about every one of them, if their problem is that they don’t hit the ball far enough, or that they don’t hit it straight enough. 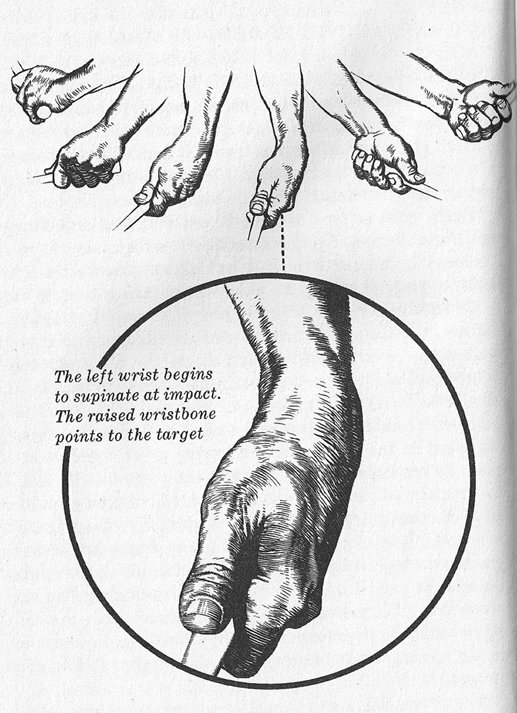 If you can change your conception of golf from hard and far to graceful and straight, and they act on it, you will be on the way to becoming the best player you can be. Well, as long as you can putt, too. 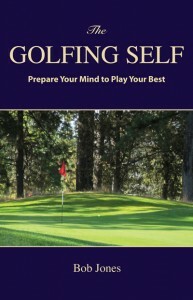 In Better Recreational Golf, I have a small essay on the chapter titled Playing the Game, called Be Your Own Caddy. The point I made was that you need to have a good reason for every shot you hit. It has to be a shot you know you can hit, that you have confidence in, and one that leaves the ball in a good spot for the next one. Yet, more often than not, all we think about is how to get the ball from point A to point B, without giving much thought to our selection of exactly where point B should be. If we had a caddy with us, those two questions would be the topic of some conversation. The caddy would not be satisfied until you had good answers to both of them. To play your best golf, you have to step into the role of your caddy and discuss things with your other self, the player self, until you both are in agreement. Now this might not work for everyone, but I believe that if before you take a club out of the bag, you explain to yourself why you want to use this club, and what shot you’re going to hit with it, and to where, you might start thinking a little clearer about the choices you make. You would consider the lie, the wind, the landing area, and the distance. Then you hit the shot you can hit, rather than the shot you want to hit, or would be good if it works out. Take your salary, convert it to an hourly rate, and compute how much is costs you, at that rate, to play a round of golf. Add on a quarter of your green fees to that hourly rate, too. Now ask yourself if you would pay a caddy that much money for the same advice you usually give to yourself. For most of us, I think we would demand a little more. Hitting shots is only part of golf. Hitting the right shot to the right place is how you use your hard-earned skills to shoot a low score. You do that by being your own caddy.